Ooty capital of the Nilgiri district is a popular hill station of the South inviting the leisure tourists for a sumptuous vacation in the lap of nature. The pleasant climate of the region empowers it for a leisure holiday and it is looked upon as one of the best Honeymoon destinations. 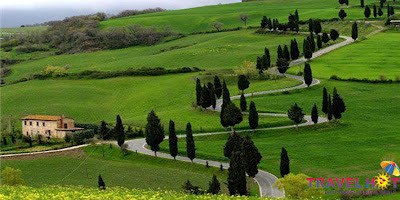 Enjoy great vacation at the hill station by availing one of the exciting Ooty tour packages. The tour packages offer a glance at the beauty of the hill station in the form of green valleys, panoramic views of mountains and the slopes beautified with magnificent tea estates. Beauty of Ooty can be best explored by visiting the many attractions of the place like Ooty Lake, Botanical garden, Pykara Lake, Dolphin’s nose, Lambs rock and kotagiri sims park. Ooty Lake is a man made lake and considered as the major tourist attraction with a nearby children’s park, toy train and fun rides. The beauty of this lake mesmerizes tourists, especially the honeymoon couples looking for a serene location to get immersed. There is an opportunity for the couples to enjoy riding the speedboats or roam in the pedal boats. Get indulged in the beauty of the destination by visiting the Ooty centenary rose garden with a great collection of over more than one thousand varieties of roses. The garden topped on ten acres of land is located centrally in the heart of the town and is the pride of Ooty. There are many more attractions to explore in Ooty. The Ooty holiday packages offer you best opportunity to select one, which suits your budget and covers maximum places to visit. Many tour operators offer timely discounts and great seasonal offers so plan your Ooty trip taking advantage of these exciting tour packages.